Pink Donut has created the RokBlok, a small wireless record player that instantly plays music when you place it on top of a vinyl record. 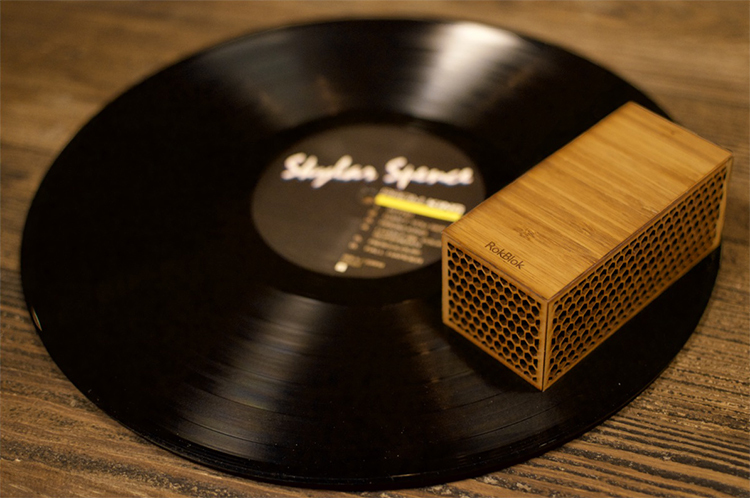 Rock out to your favorite records with RokBlok’s built-in speaker, or wirelessly send your music to any Bluetooth device for an even bigger sound. 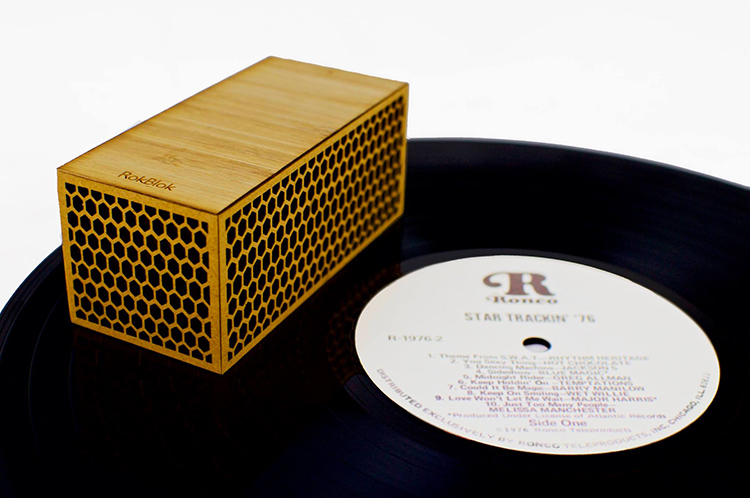 Measuring only 4 X 2 inches long, you can use RokBlok to listen to your favorite records anywhere you can find a flat surface. Using RokBlok is as easy as “Place & Play”. 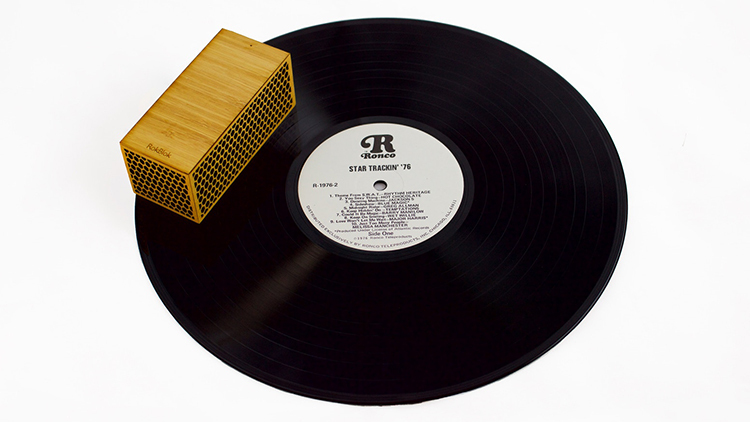 Simply place RokBlok on a record, and raise the control lever to start playing.